For Jino Gideon, the Dawawa New Testament dedication in 2003 was a time of celebration, but he also saw larger possibilities. Now that he had the Bible in his heart language, why shouldn’t neighboring language groups enjoy the same privilege? 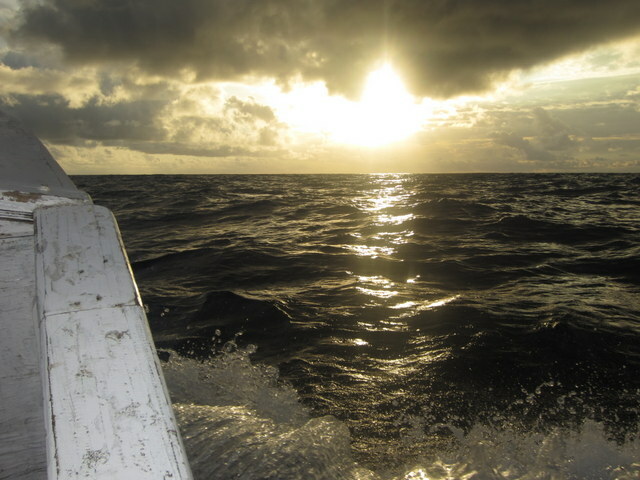 Others were asking the same question, so the multi-language project called VITAL began in Milne Bay in 2005. The primary purpose of VITAL is to train and mentor the teams from up to 13 different language groups, and equip them to do translation for their own people. According to Betty Dunstan, mentor of the Are language team, VITAL has been instrumental in providing training in the use of linguistic software. One of the main reasons Betty wanted to join VITAL was to increase her competency in using Paratext, a valuable computer tool in Bible translation. “I know for sure that if I didn’t come to VITAL, I would be way behind. If I learned Paratext by myself, it would be a difficult job for me,” said Betty. Instead, the community atmosphere of VITAL has encouraged Betty and the Are team. In February, VITAL met for the 27th time since it began in 2005. This first phase of VITAL will end in 2015. The goal is for each of the languages to have finished translating a “mini-Bible” by that time which will include Mark, Acts and a panorama of the Old Testament covering about 11% or for those that have already finished a New Testament translation to publish just this Old Testament panorama. Plans for VITAL Phase 2 are still in the works, but Jino and other VITAL leaders hope that the current participants will translate more books of the New Testament, and that new language groups will also send translators. They have a dream that one day all language groups in Milne Bay will have God’s word in the language that speaks to their hearts. Melanesian pidgin is spoken in many areas of Papua New Guinea. 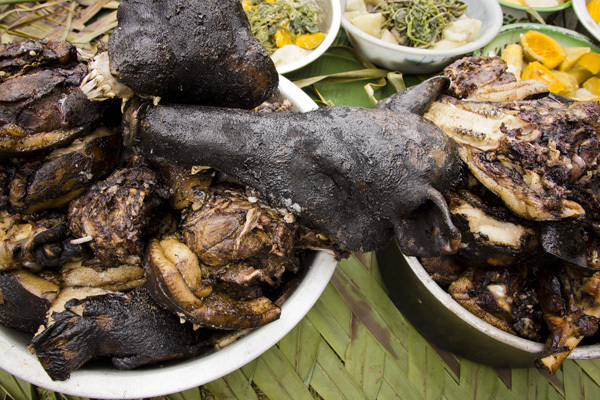 It is the trade language that is used to communicate between many of the different language groups within PNG. Regarding language development, it is both positive and negative. It is positive because it allows groups of dissimilar languages to gather together and communicate. It can be negative because in areas where it has significant interaction with the heart language, mother-tongue usage may suffer. Pray that pidgin can be used as a tool to assist Bible translation and language development but without negatively impacting the process. More than 10 years of work ended on Tuesday, February 4, when boxes of the Nukumanu New Testament arrived safely on Tasman Island. It was cause for great celebration by everyone who had been involved in the process of translation. For Edmond Teppuri, the main translator, it was the culmination of many years of sacrificial work. Edmond was there to welcome the three special visitors who had come from the US, Guam and the PNG Highlands, traveling two days in an open boat from Buka when the government ship was postponed. Upon arrival Monday afternoon, the visitors were met on the beach by the entire Nukumanu community. They were then led to the Anglican Church where the church choir sang, followed by a welcome speech from Chief David. He called it a historic day, not only for the arrival of the New Testaments, but also because a banana boat had made the two-day journey all the way from Buka. Early on Tuesday morning a special Dedication service took place at the Anglican Church. 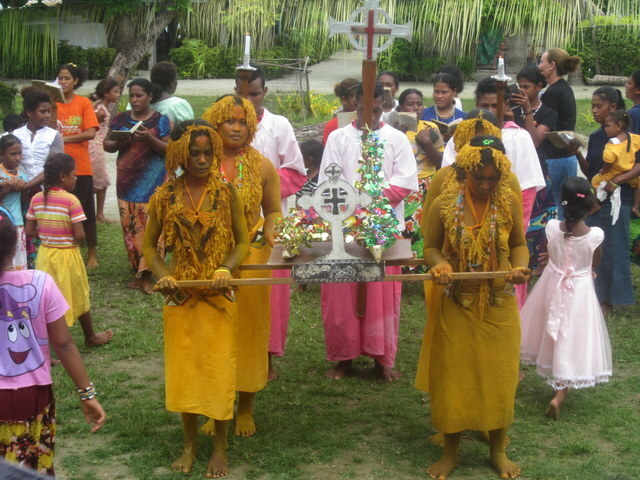 Four young women, festively dressed in local style with turmeric covering their bodies, carried a model of an outrigger decorated with flowers and with copies of the New Testament resting inside. It was a reminder of the way that the New Testaments arrived by sea. After a solemn service of dedication outside the church, participants from both the Anglican and United Churches on the island joined together for a Communion service. During the service the New Testament readings were done for the first time in the Nukumanu language. The church service was followed by a special program with speeches and the official hand-over of the New Testaments to local dignitaries. Then it was time to celebrate with feasting and dancing by various local groups. It was a day to remember when the Nukumanu New Testaments finally arrived home. The Scriptures are so full of nuggets of truth that we often only look at it in small portions. But there is value in looking at a whole book or at least looking at a larger portion of Scripture in one sitting. Papua New Guineans love to hear and tell stories. The narratives and parables of Jesus and the Old Testament stories have great appeal. These stories are a great way to introduce the Scriptures to language groups who do not have a language project started. Pray for the Storytelling Workshops that are held periodically throughout the country. 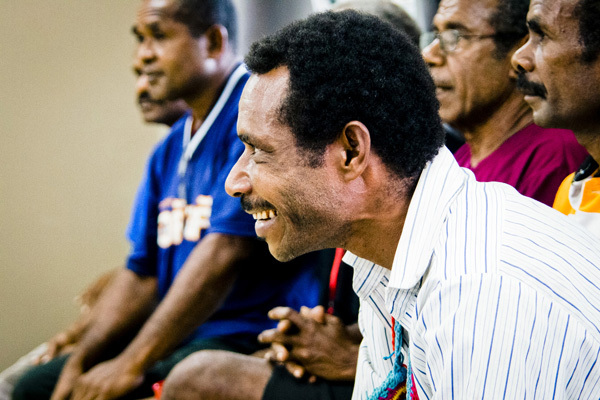 These workshops successfully teach Papua New Guineans how to engage others through the art of telling Bible stories. Cell phone usage is exploding in PNG. The good news is that it is providing another way to get the heart-language Scriptures into the hands of more people. 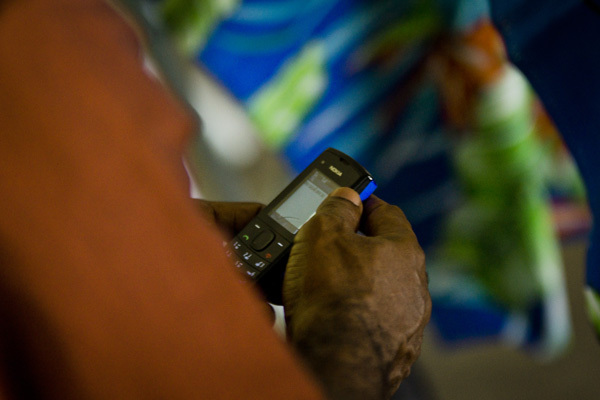 Pray for more translations to be converted into formats that can be used on these phones. Papua New Guinea is home to over 830 languages. Each of these language communities has important potential for confidence and self-awareness, but they may never achieve this unless mother tongue literacy is developed. 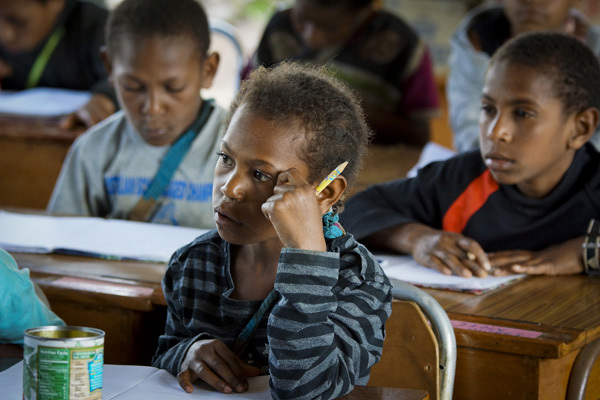 SIL-PNG is dedicated to development and promotion of vernacular literacy activities, including developing orthographies for unwritten languages. SIL-PNG believes that indigenous cultures are best preserved through written language. Once local knowledge is written, it is preserved for future generations and provides the best path into languages of wider communication. Recent efforts to introduce mother tongue into early education in various developing countries have shown that the vernacular is the best medium for establishing lasting literacy efforts. Vernacular language development is critical in preparing indigenous cultures to meet the demands of the greater world. SIL-PNG seeks to improve rural citizens’ literacy by running informal workshops to train teachers and develop reading and writing materials. Originally, this was accomplished one language at a time, but in recent years there have been increasing opportunities to equip and train trainers to do literacy work in multi-language projects. The National Department of Education recently had SIL-PNG literacy trainers teach how to develop bridging curricula, within formal teacher training institutions. SIL-PNG considers this collaborative effort vital, as the organization values empowering local people of all ages through knowledge of their own written language. Increasing numbers of PNG college and university graduates have taken up the challenge to promote vernacular education in local communities. 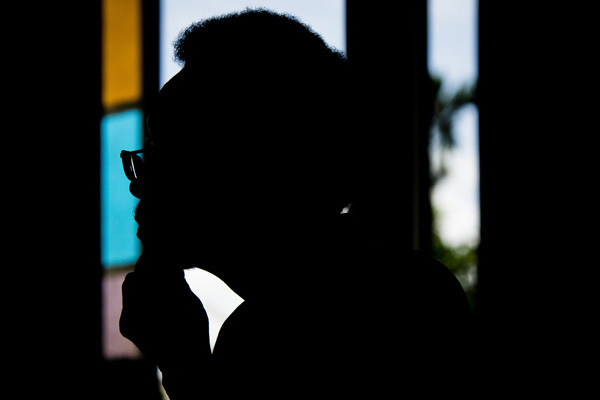 Educators are striving to provide relevant and effective education for elementary teachers in PNG. A high quality tertiary curriculum for universities and colleges will respect and encourage the preservation of local knowledge and enhance the full development of children, because this will encourage young people to value older men and women, give them a foundation on which to base their world view, and help them to maintain their cultural identity and retain their local languages, while still giving them the understanding necessary to choose change where appropriate. With this foundation each student can embrace global knowledge and communication without losing the respect and security of his or her people. A goal of a completed New Testament is often the target for many new language development and Bible translation projects. 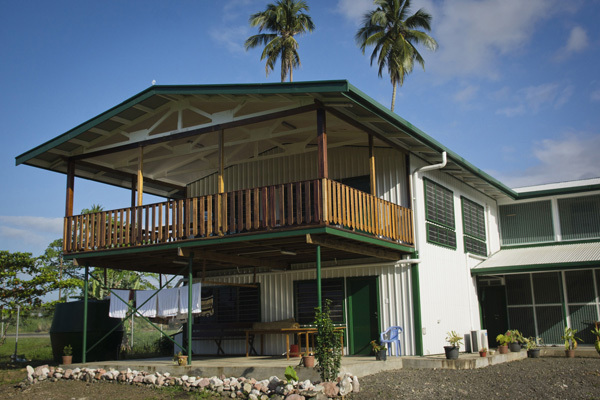 As the project gets closer to completion, a hunger to have a completed New Testament increases. 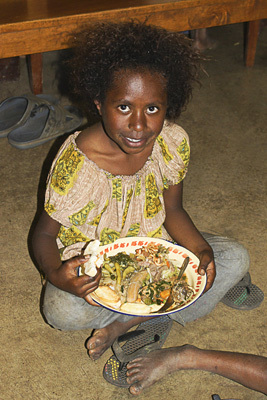 When the project reaches its goal, there is often a celebration to mark the event and in Papua New Guinea, a celebration means a feast. Food comes from everywhere and the end of the day usually closes with hundreds of people having great stacks of food on their plate, eating together. But guess what? There will still be people that are hungry. Listening to the conversation, it will not be unusual to find people starting to talk about how the Old Testament can be translated into their heart language so that they can have the complete Bible. Partial satisfaction creates a greater hunger for God’s Word. 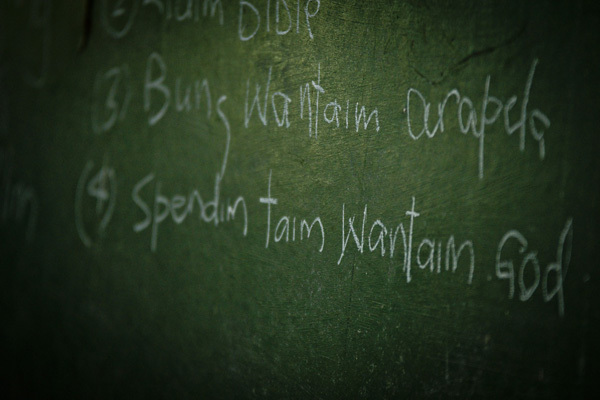 Pray for the many Old Testament projects that are in process.